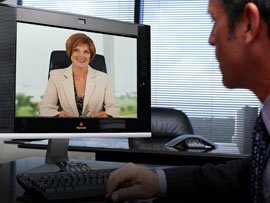 LifeSize Communications is well respected in the VoIP industry for their UVC video conferencing platform, especially since it is entirely software-based. They’ve recently announced some incredible innovations that will make video calls on mobile devices easier than ever. Unified Communications provider Polycom has announced the acquisition of Accordent Technologies, a provider of video content management and delivery solutions, for approximately $50 million in cash. Polycom expects this acquisition to be neutral to earnings in 2011 and slightly accretive to earnings in 2012. 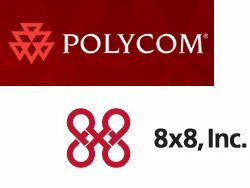 8×8 announced it has signed a partnership agreement with Polycom enabling it to offer Polycom’s IP telephony and conferencing solutions to 8×8 Virtual Office hosted VoIP subscribers. 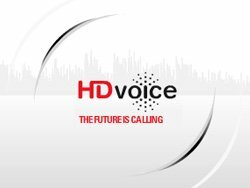 Leading Technology Companies Announce HD Voice Initiative in the U.K.
XConnect, Polycom, BroadSoft and Dialogic announced an initiative to promote the adoption of high-definition voice by service providers in the United Kingdom. Through workshops and cooperative communication and marketing, the HD initiative is designed to raise awareness and educate service providers about the benefits of HD voice and help them resolve implementation challenges. Polycom has announced record revenues of USD $1.1bn for 2008. The company said VoIP phones continued to be one of its fastest growing product lines in 2008, as customers put out dollars to implement a "money saving solution". HD VoIP is rapidly gaining followers but the possibilities for excellent sound quality aren’t its only benefits. Jeffery Rodman, Polycom co-founder and CTO of the Voice Division, believes that video will quickly become a "must-have" feature of HD voice technology.